As your business grows and develops, the need for flexibility will increase with it. We have a revolutionary new folding workstation that makes your desks work around you - not the other way around. Our folding desks can be assembled and disassembled in seconds, with no need for tools! They fold to virtually flat for easy and flexible storage, so they can be stored away and ready to be assembled as and when you need them. This function is perfect for an office that needs flexible hot desking, or to be prepared for rapid or temporary growth. When assembled they look and feel like a permanent workstation, but with the added bonus of being flexible and mobile to suit your changing needs. Click on the image to see the product page! 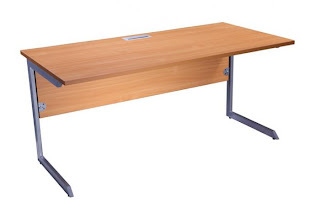 As part of our bulk buy deals, we offer these desks in packs of ten to help you make fantastic savings - and with free delivery as well, we're confident that you won't get a better deal anywhere else!